The unique, ergonomic shape of the DEXIS Platinum sensor fits more comfortably in patients’ mouths and against the anatomy. Clinicians can move about the mouth efficiently which can mean a more accurate procedure and less retakes due to patient movement. 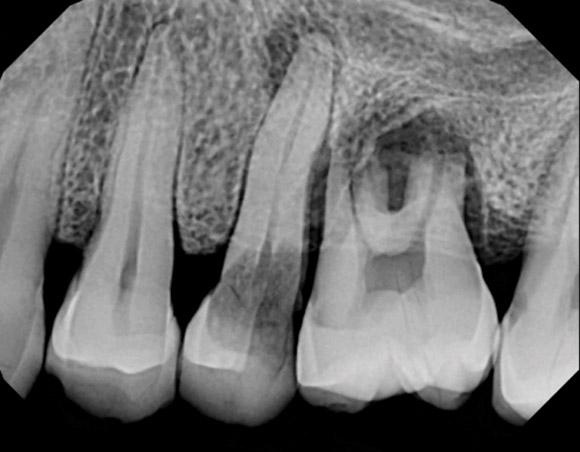 The ability to see subtleties using digital radiography is crucial to diagnosis, collaboration, and patient communication. 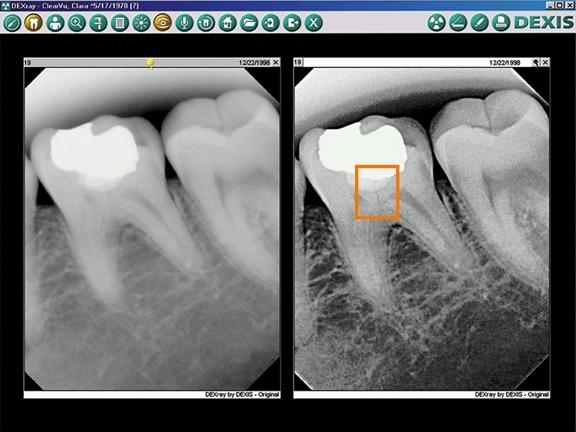 Through a combination of advanced hardware and software technologies, the DEXIS Platinum sensor is able to deliver clinically meaningful images that are extremely clear and highly detailed. 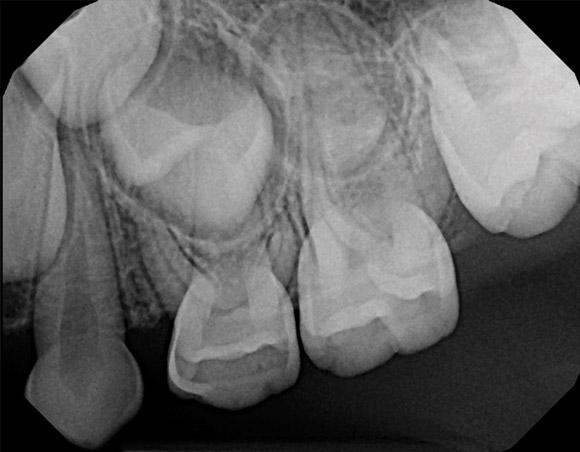 Picture on left side does not show fracture line with conventional x-ray.